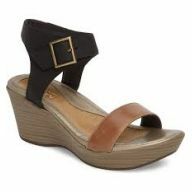 Corey's Bootery carries the largest selection of Naot Shoes, Boots and Sandals in the Kalamazoo area. 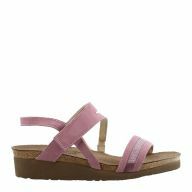 Naot Shoes, Boots and Sandals are made with a cork footbed similar to that of a Birkenstock but with a much softer and more comfortable feel, without a break in period. 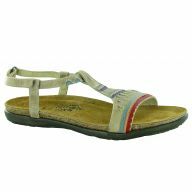 The Naot footbed provides excellent support and allows the shoe to conform and mold to your foot as you wear it. 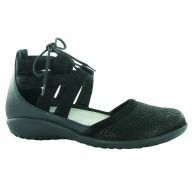 Many of the Naot styles also feature a removable footbed making them orthotic friendly. Naot has been one of the top Women's comfort brands for the last several years. Every year the styles have progressed and are extremely fashionable and trendy. 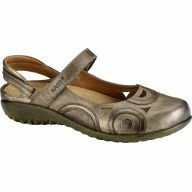 Naot shoes are European sized and all styles are available in sizes 36-42. This is the equivalent to size 5-11 in women's. Naot does make select styles up to a size 12 or 43. Men's styles are sized from size 40-46 which is the equivalent to size 8-13 in American sizing. 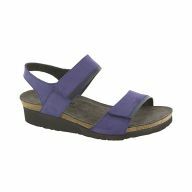 Corey's Bootery is also able to modify the Naot footbed to be the proper support for your foot, if necessary. Corey's Bootery's Certified Pedorthists offer this service at no additional charge when you purchase a pair of Naot shoes at regular price! 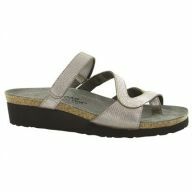 Corey's Bootery carries one of the largest selections of Naot shoes & sandals in Michigan! Stop in today to check out the new styles for Spring/Summer 2019. New styles are added to the Corey's Bootery's bargain basement monthly! 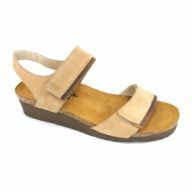 Why are Naot's Corey's selection for comfort shoes and sandals? 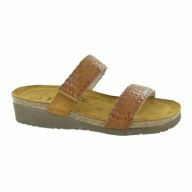 Naot Shoes & sandals are engineered with a natural blend of natural cork and latex. 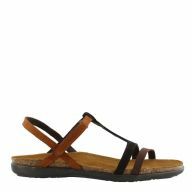 The Naot footbed is designed to conform the the shape of you're feet. 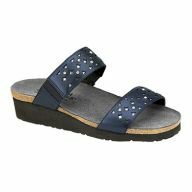 The Naot anatomically aligned footbed conforms your foot with wear. The Naot footbed is made with a deep heel cup, great arch support, and offers great flexiblity, durability, and cushioning. 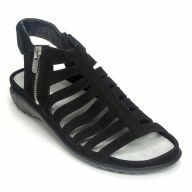 Do you have trouble finding a comfortable sandal for your plantar fasciitis or other foot pains? 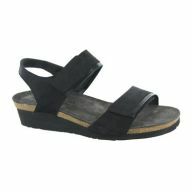 Corey's Bootery offers custom orthotics made specific to each naot sandal. as well as free modifications to the Naot insoles. 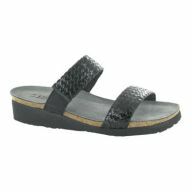 This makes Naot sandals and shoes the top choice in comfort footwear at a great price.